A shout-out to Ragtime‘s Broadway revival producer, special guest speaker for our production, and great friend of Duke, Emanuel Azenberg on his 2012 Lifetime Achievement Tony Award. They omitted his acceptance speech from the telecast, so we’re bringing it to you here! Ragtime at Duke Slideshow from Jules Odendahl-James on Vimeo. 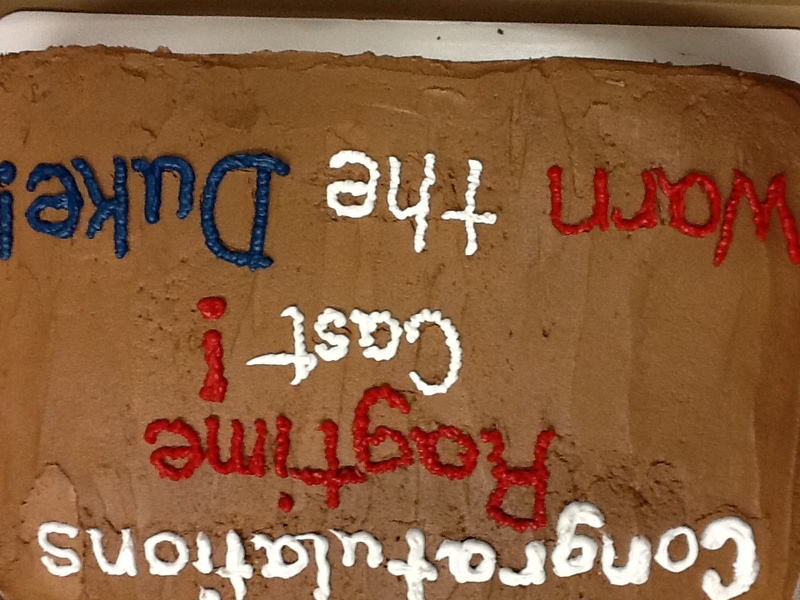 This is the production blog for Ragtime: The Musical presented April 5-15, 2012 by Duke University‘s student musical organization, Hoof’n’Horn, the Departments of Theater Studies and Music, the Program in Dance and the Duke Chamber Players. It has been curated and maintained by Jules Odendahl-James, production dramaturg and Nathaniel Hill, student producer from January to May, 2012. The student ensemble (including on-stage performers, musicians, and backstage crew) blogged about their rehearsal process throughout the spring semester. Check out the tabs above to learn more about our work, the show’s storyline and history, and the arts at Duke. 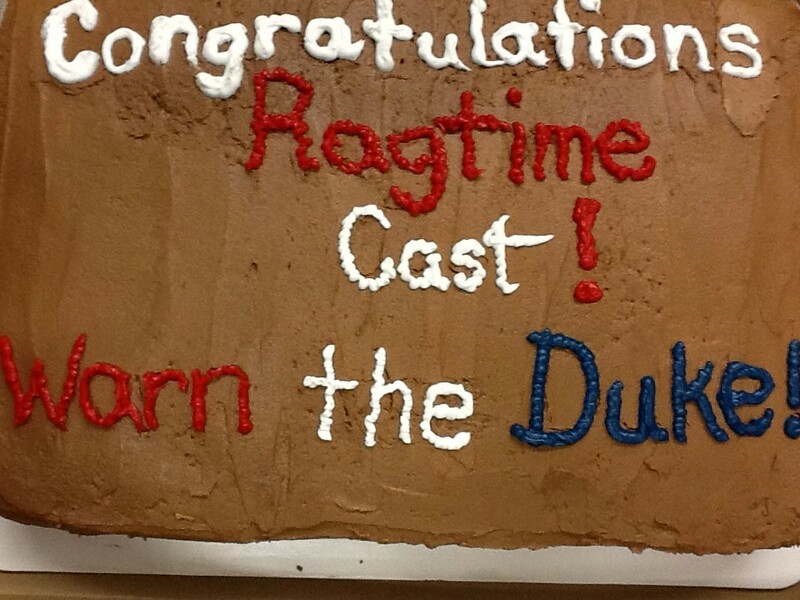 Final class celebratory cake. Thank you Tobi and Chapin Reil!